For most of history, the human heart has been regarded as a forbidden organ too delicate to tamper with. It might have remained so, were it not for World War II. Military doctors, facing injury and suffering on a massive scale, pioneered advances in antibiotics, anesthesia and blood transfusions—advances that would usher in the age of modern surgery. 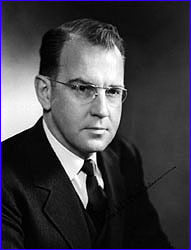 One of the first surgeons to use these improved techniques to gain access to the heart was Dr. Dwight Harken, a young U.S. Army surgeon. Many of Harken's patients were young soldiers evacuated from the European front with shell fragments and bullets lodged inside their hearts. To leave the shrapnel in was dangerous, but removing it was almost surely fatal. Harken began operating on animals, trying to develop a technique that would allow him to cut into the wall of a still beating heart, insert a finger, locate the shrapnel and remove it. All of his first 14 animals subjects died. Of the second group of 14, half died. Of the third group of 14, only 2 died. Harken felt ready to try the technique on humans. All of his patients survived, proving that the human heart could be operated upon. It wasn't long before surgeons began wondering if Harken's technique might be applied to defective heart valves. 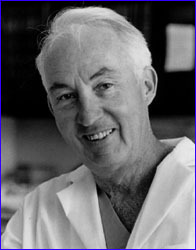 In 1948, within days of each other, Harken and a Philadelphia surgeon, Dr. Charles Bailey, independently reported on a daring procedure to correct mitral stenosis: a condition where the mitral valve (see Hot Science) is narrowed and won't open properly. 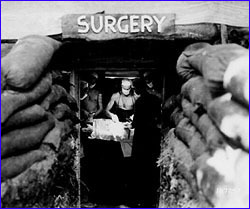 Just as with the soldiers, a small hole was cut in the side of a beating heart and a finger was inserted to find and very carefully widen the narrowed valve. Early results were disastrous, with the majority of patients dying. 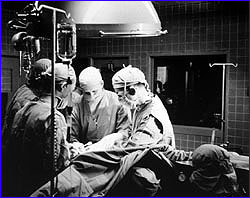 Gradually, though, surgeons improved their technique and the procedure became quite safe. This kind of blind surgery—or closed heart surgery—spread to hospitals around the world. Impressive as the technique was, it made little difference to patients suffering from more serious heart defects—children born with congenital heart disorders, breathless and blue and condemned to an early death—or victims of rheumatic fever whose heart valves were narrowed or stuck. 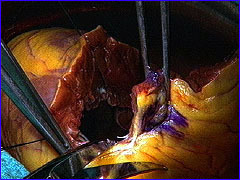 If surgeons couldn't work on the heart from the inside, nothing could be done. But how could surgeons open up the heart without their patients bleeding to death? Temporarily stopping a patient's circulation only gave doctors about four minutes to work before brain damage from oxygen deprivation took place. At the University of Minnesota, a young Canadian surgeon named Dr. Bill Bigelow came up with the first workable, if highly bizarre, answer. He had noticed how hibernating animals, like ground hogs, survived the bitterly cold Canadian winters. Their hearts beat slower, allowing them to survive for months without food. Wondering if cold might be the key to operating inside the heart, Bigelow began animal experiments and found that when dogs were cooled, open heart surgery could be done for long periods—much longer than four minutes—and they didn't die. He showed that at lower temperatures, the tissues of the body and brain didn't need as much oxygen, and could survive without oxygenated blood for longer. On September 2, 1952, two University of Minnesota surgeons, Dr. Walton Lillehei and Dr. John Lewis, attempted the first open heart surgery on a five-year-old girl who had been born with a hole in her heart. Anaesthetized to stop her shivering, the girl was cooled by a special blanket until her body temperature reached 81 degrees F. At this temperature, she could survive without a pumping heart for ten minutes, not four. Clamping the inflow to her heart so that it emptied of blood, Lillehei and Lewis cut open her heart, which was still slowly beating, and quickly sewed up the hole. With the repaired heart working properly for the first time in her life, the girl was then immersed in a bath of warm water to bring her body temperature back to normal. The operation was a success. The "hypothermic approach" became very successful in treating small heart defects. But all too often, surgeons opened hearts to find more complex defects—defects that couldn't be repaired in 10 minutes. With the clock ticking away, they did what they could, but it was clear that a better approach needed to be found. The dream of building a machine to take over the function of the heart and lungs during surgery had existed before World War II. Early prototypes, built by pioneers like Dr. John Gibbon in Great Britain, were cumbersome and dangerous—often leaking blood, damaging blood cells and causing air embolisms. 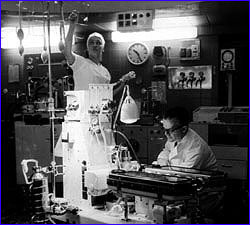 It wasn't until 1958, when a system that involved bubbling blood was perfected, that "heart-lung" machines came of age. Dr. Dennis Melrose of London further increased chances for success when he pioneered an injection that stopped the heart from beating during surgery. Now surgeons had time to work on a heart that was not only empty of blood, but which wasn't moving. And they had time to correct the most serious abnormalities. Holes which were too big to be sewn up were patched. Where valves were damaged beyond repair, artificial valves were put in. Blocked arteries were bypassed. Weakened arteries were replaced altogether. Modern heart surgery seemed unstoppable. But a major problem still remained—what to do for patients whose very heart muscle was diseased beyond repair? Could these patients be given new hearts? By 1966, heart surgeons were ready to take on the challenge. Most, like Dr. Michael De Bakey of Houston, thought the answer lay in artificial hearts. But the future would lie in a different direction: heart transplants. Kidneys had been transplanted successfully as early as 1963, after the complexities of tissue rejection were solved with drugs that suppressed the immune response. If the barrier had been breached for the kidney, why not for the heart? In December of 1967, a South African surgeon, Dr. Christiaan Barnard, transplanted the heart of a 23-year-old woman killed in a motor vehicle accident into the chest of a middle-aged man. He lived for eighteen days, until the powerful drugs used to suppress rejection weakened him and he died of pneumonia. 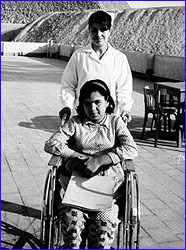 The second patient to receive a heart transplant, at the hands of Dr. Adrian Kantrowitz in the United States, lived only six hours. But Dr. Barnard's next heart-transplant patient lived for 18 months and became a symbol of hope for victims of heart disease. All over the world patients were asking and receiving the new miracle operation. But these surgical triumphs proved short-lived. Patients began dying of either rejection or infection. By 1971, 146 of the first 170 heart transplant recipients were dead. What first looked like another surgical miracle had turned into a disaster. Heart surgeons who had promoted the operation admitted defeat. Only one American surgeon would continue—Dr. Norman Shumway. Throughout the 1970's, he built a team of scientists and doctors to tackle the complex biological problem of tissue rejection in a careful, scientific manner. His team devised a way of spotting rejection attacks, by feeding a catheter into the heart and removing a piece of heart muscle for examination. Only when signs of rejection were seen were doses of the dangerous immuno-suppressive drugs increased. 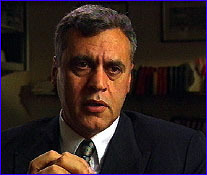 And Shumway benefited from a chance discovery made in another part of the world. In the soil of Norway's Hardaanger fjord, a fungus was found which contained a compound that would revolutionize transplant surgery. The substance, called cyclosporin, appeared to have exquisite immuno-suppressant properties—controlling organ rejection without knocking out all resistance to infection. In the hands of Dr. Shumway, cyclosporin transformed the picture for heart transplant recipients. Hospitals around the world began to re-open their heart transplant units and their patients began to survive and prosper. But this breakthrough has come with limitations, too. The problem with heart transplants now has become finding enough hearts. Today in the United States alone, 2 million people suffer from congestive heart failure. When drug treatments fail, transplants are the best hope. But less than 2,500 donor hearts are available each year, leaving thousands of patients desperate for an alternative. In 1994, Dr. Randas Batista of Brazil devised a radical new surgical technique to treat a common form of heart failure for people with enlarged hearts. Normally, oxygen-rich blood flows into the left side of the heart from the lungs (see Hot Science). The left ventricle is responsible for pumping the blood out to the rest of the body. When the heart becomes diseased, it sometimes dilates or swells. The contractions become sluggish and the left ventricle is unable to squeeze out enough blood. Blood backs up in the heart and the lungs, resulting in congestive heart failure. Batista's idea was to cut a swath out of the left ventricle and sew the chamber back together, thereby reducing its size and increasing its efficiency. Gradually, news of Batista's radical approach spread and, currently, a small number of surgeons around the world are experimenting with the procedure. Their results, so far, have been mixed. More time and innovation are needed before it's known whether this technique will be the next milestone in the history of heart surgery. (6) © N. Shumway; (7-8) WGBH Educational Foundation.